When my husband Gabe and I went to Paris in 2014, we decided against purchasing the Paris Museum Pass. 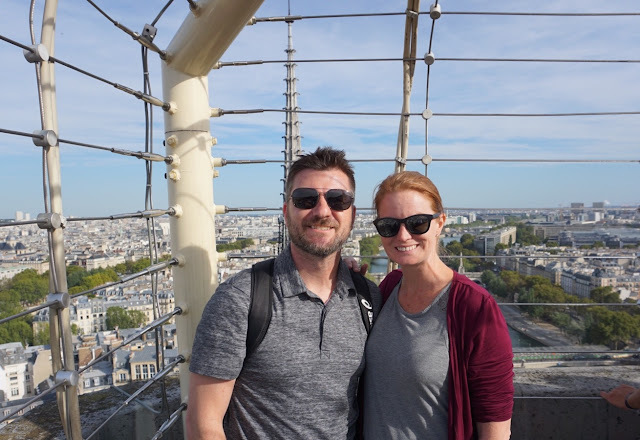 We were only in Paris a short time and knew we wouldn't be able to use enough attractions to cover the expense. 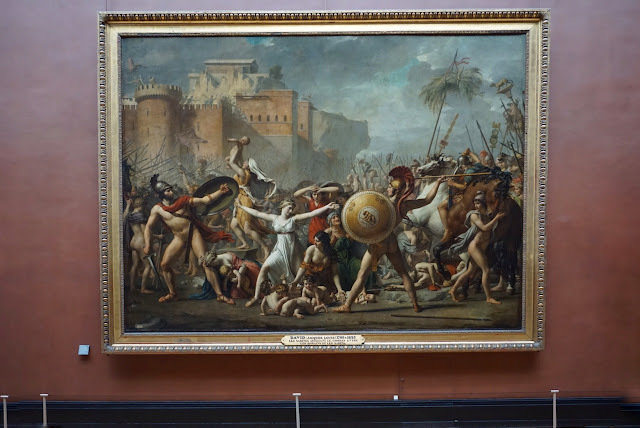 When we got to Paris, I realized quickly that the Paris Museum Pass had separate lines for many of the sites we wanted to see, allowing you to skip the long lines. 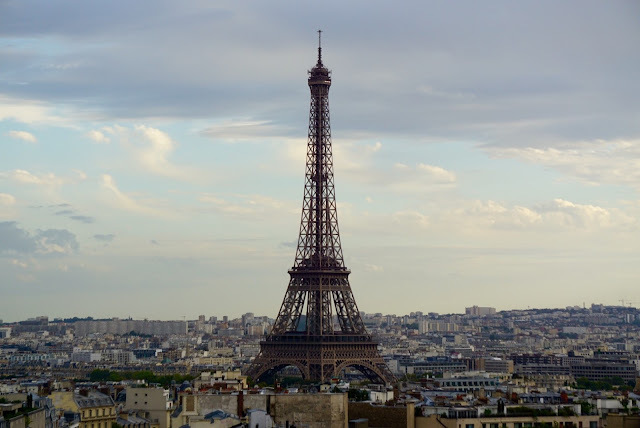 On our trip to Paris last month, we gladly had the Paris pass in hand and used it for quite a few attractions. I already posted about visiting Versailles which we gained access to with the Paris Museum Pass. Today I am going to share with you the benefits of using this pass in the City. It would have taken us over a week to enjoy all the sites that the Paris Museum Pass gives you. 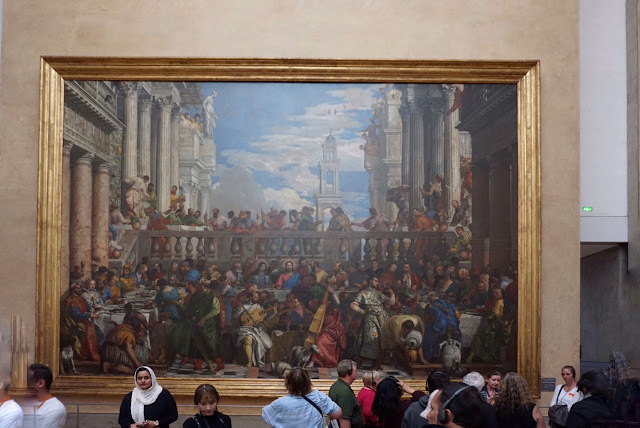 We started off by visiting the Louvre, something we did not do in 2014 and regretted. The lines to get in the museum were very long. The Museum pass line took us 5 minutes total to get in. That right there saved us over an hour. We did witness an incredible photo shoot happening on the grounds of the Louvre - which I promptly grabbed my telephoto lens and sneak a shot of. Louvre is somewhere you can easily spend multiple days in. I had no idea how truly massive this museum was. To be honest, it was overwhelming. 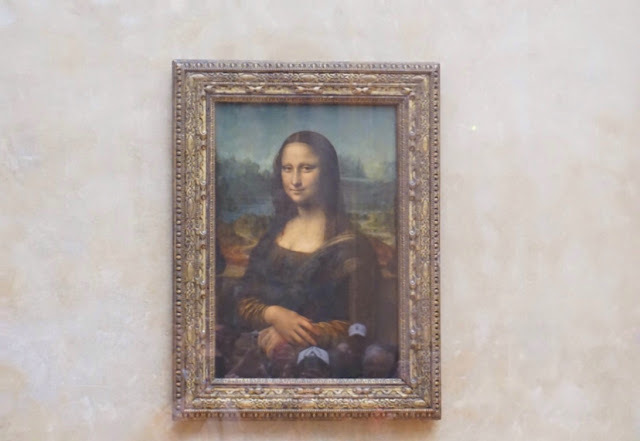 We saw a few exhibits and headed off to see the most famous painting in the world, the Mona Lisa. The paintings leading up to the location Mona Lisa is in were stunning. 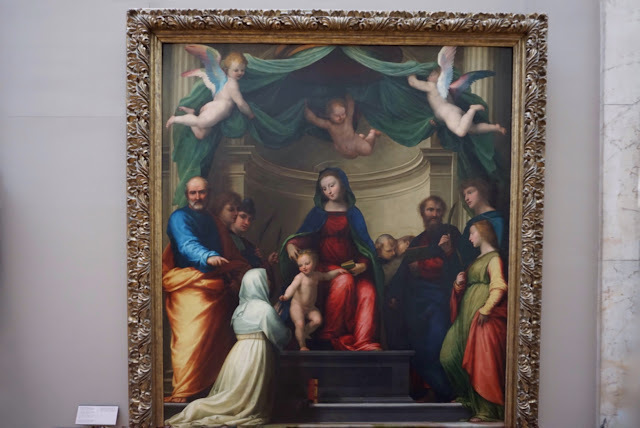 I know absolutely nothing about art history so I am not going to try to sound like I do - however, we took quite a few photos and were stunned by what we saw. Once we finally turned into the room where Mona Lisa was located, I had found myself both amazed and let down. I was amazed because here I am face to face with Mona Lisa herself. I found myself let down because there were hundreds of people trying to take selfies with her, blocking the view of a very small painting, enclosed by glass. We were much more enthralled by the other art work. I took a quick snap and headed off. 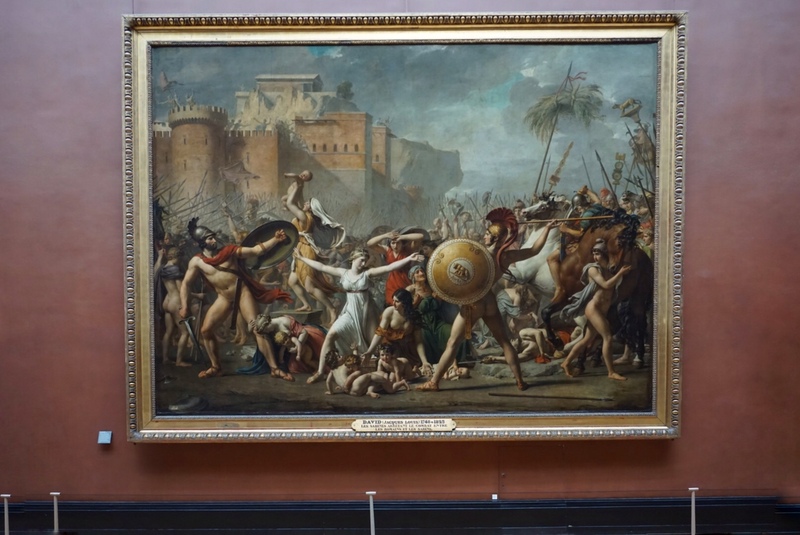 We explored the Louvre for about 2 hours and did not see nearly enough art. We met a couple the following day who told us they spent 8 hours there! When we finished, I found a few bistro's outside and had a glass of champagne while overlooking the gardens. After the Lourve, we headed off to Arc de Triomphe. We actually had tickets for the Arc on our last trip but did not use them because we couldn't figure out where the entrance was. It's actually quite complicating and nearly ran into the same problem this time. Once again, we found ourselves at the front of the line with the Paris Museum Pass. The access line at the Arc was not near as long as Lourve but this saved us a great deal of time. Time to walk up 284 steps the day after running a Half Marathon! Our legs HATED us - but I learned if you climb a ridiculous amount of steps following a race is similar to a shake out run. Once on top of the Arc de Triomphe, we found ourselves amazed at the size of Paris. Plus we got one of the best views of the Eiffel Tower, which resulted in one of my favorite shots from our trip (above). I love people watching on the Avenue des Champs-Élysées, which is where Arc de Triomphe is located. While you couldn't exactly "people watch" you could sit up there and watch the activity on the Avenue which was a ton of fun. The next day, we went climbing again - this time 387 steps at Notre Dame. The Paris Pass gains you entry into Notre Dame but you do not skip the line. We waited 45 minutes to go up, and it was worth every single second. While I am glad we did Arc de Triomphe, I would have gladly stuck with Notre Dame. 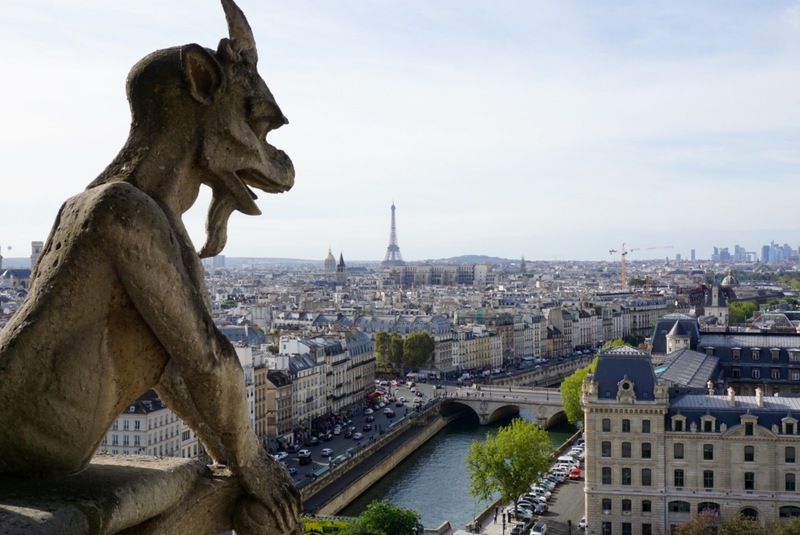 There are two levels of viewing at the Notre Dame - Gargoyles and the roof. While climbing, we met a couple and started talking about the States - came to find out that the guy went to college in our hometown of Daytona Beach. What a small world. I have nearly 100 photos on my camera of the Gargoyles. Slightly obsessed. worse to get sick on vacation, on your wedding anniversary while in Paris. Boo! While we didn't use the Paris Museum Pass to it's full potential, we did skip the line at three large attractions, and it was nice not having to worry about paper trail of purchased tickets - since everything was all in one. I would strongly suggest this for anyone traveling to Paris. Time is Money - and this saves you a ton. Plus the few things we used the pass for would have cost a few additional Euro's without the pass! I received two Paris Museum Passes to experience the city at no charge. As always, all opinions are my own.